SPECIAL VIP TICKET OFFER FOR ALL LACROSSE PLAYERS! 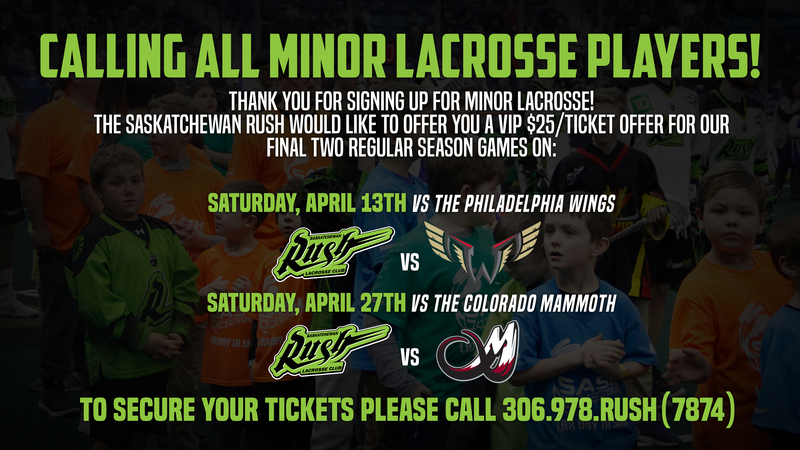 The Saskatchewan Rush want to treat all registered SLA members and their families to a special VIP ticket for the last two regular season games. Volunteers and Officials are eligible for these tickets as well! Make sure you get your tickets soon as the games are selling out quick! Let’s pack the Sasktel Center and cheer the Rush to victory! Contact the Rush at 306.978.7874 to secure your tickets!